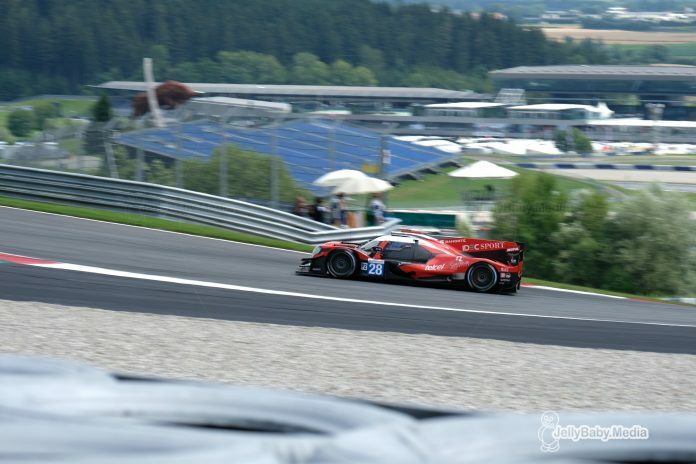 Paul Loup Chatin made it three sessions out of three this afternoon when he took pole for the #28 IDEC Sport Oreca setting a lap time of 1:19.246. 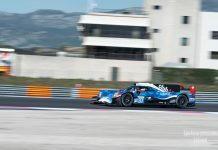 Chatin held off an asserted challenge from Nicolas Jamin in the #29 Duqueine Engineering Oreca who ended the qualifying session a mere 0.019s behind. 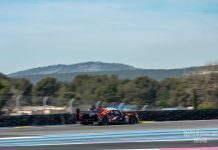 Third spot went to Norman Nato in the #24 Racing Engineering with Nicolas Lapierre taking fourth making it an all-Oreca, all-French first two-rows for Sunday’s four hour race. The first of the Ligiers, the #22 United Autosports car of Philip Hanson and Filipe Albuquerque, will start from seventh on the grid while the fastest qualifying Dallara was the #47 Cetilar Villorba Corse which will start in 11th place. 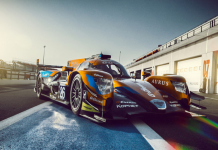 European Le Mans Series Round 3. Red Bull Ring, Spielberg, Austria. July 2018. 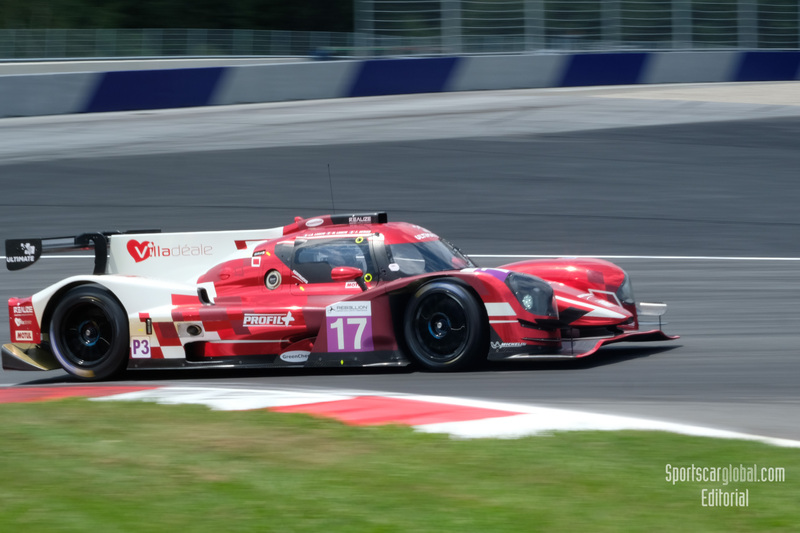 The #17 Norma M30 of the French Ultimate team denied the #9 Ligier JS P3 of AT Racing a home pole for the LMP3 class. The timing screens initially showed the Austrian team had taken pole however, following a penalty for exceeding track limits, pole position subsequently went to Matthieu Lahaye who set a 1:26.519 and kept it within the white lines. Lucas Legeret in the #19 M. Racing – YMR Norma M30 was 0.064s behind taking second in class and giving Norma a class front-row lockout for Sunday’s race. The #15 RLR MSport Ligier will start third after Job van Uitert set a 1:26.703 on his sixth lap. 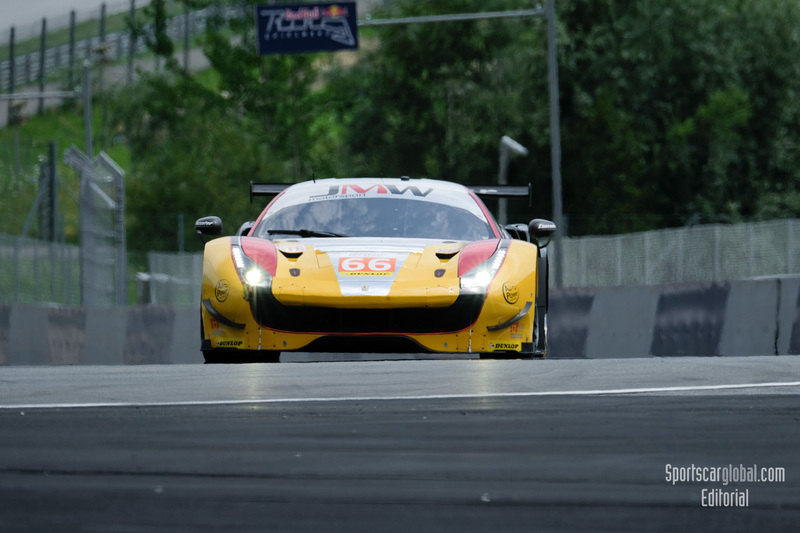 Miguel Molina claimed pole position in the LMGTE class with his #66 JMW Motorsport Ferrari F488. The Spaniard’s time of 1.28.827 was 0.098 seconds faster than Matteo Cairoli in the #88 Proton Competition Porsche. Surprisingly, this is the first pole position for last year’s champions JMW since Hungary 2013. The second row of the grid will be occupied by two green Ferrari’s; the bright green #83 Krohn Racing of Andrea Bertolini (1.28.967) and the darker #55 Spirit of Race car. The #77 Proton and #80 Ebimotors Porsches will close tomorrow’s grid with fifth and sixth place in class.